San Francisco, CA - Lazy 8 Studios announced today that they have teamed up with localization firm LocWorks to bring their flagship game Cogs to an international audience. Cogs is now available in English, German, Italian, French, Russian and Polish. 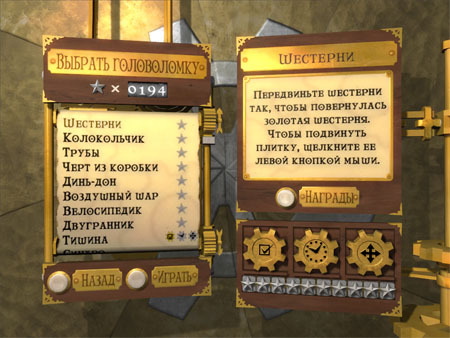 All of these localized versions can be found at Steam or Direct 2 Drive, the two current online distributors for the PC puzzle game. Founded by Piotr Burzykowski in 2006, LocWorks is a localization firm based in Warsaw, Poland. LocWorks specializes in end-to-end video game localization solutions provided by more than 25 freelance full-time translators, reviewers, software and desktop-publishing engineers.